Sometimes a family must turn to a nursing home or assisted living facility to help care for an elderly or disabled family member. In these situations, we trust the nursing home to care for our family members as well as we would. In fact, the main reason we encourage our elderly relatives to enter nursing homes is because we fear that we ourselves are unable to provide adequate care and supervision. Most nursing homes take their duty toward their residents very seriously. As with any business, however, there are nursing homes that prioritize profits over the health of their residents. When a nursing home cuts costs by providing inadequate care, the result may be nursing home neglect or abuse that results in serious injury or even premature death. Many of us are trained from youth to not question professionals like doctors and nurses. 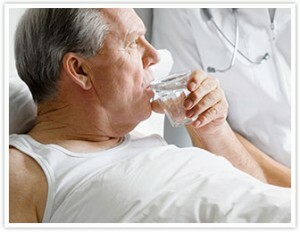 But do not put your loved one's health at risk by assuming the nursing home is acting with high standards of care. If you see any signs of nursing home neglect, whether with your own family member or another resident, contact a lawyer immediately. The Anderson, South Carolina, law firm of Harbin & Burnett LLP, has significant experience fighting for the rights of injured nursing home residents and their families. We take our job of finding justice for victims of nursing home neglect very seriously. Call 1(888)821-0247 to make a free appointment. If you or someone you care about has been the unfortunate victim of nursing home neglect or abuse, call Harbin & Burnett LLP today at 1(888)821-0247 for a free, no-obligation consultation. Let Harbin & Burnett LLP be your team of tough, smart attorneys who will fight for your rights.